While 2018 may have been promising so far, Facebook, inarguably the world’s largest social media network, can barely attest to the same fact. In March 2018, Mark Zuckerberg, CEO of the social media giant obviously woke up to an unprecedented dilemma — his company had been labelled for a major scandal, alongside Cambridge Analytica, a British political-consulting company that utilises data analysis for electoral process. According to Christopher Wylie, the Whistleblower and former employee at Cambridge Analytica, the firm began harvesting data in 2014 via a Facebook quiz that invites users to find out their personality types. This, according to Christoper, helped to harvest the data of 50 million people, who are in one way or the other connected to the 270,000 persons who directly partook in the quiz. All of the retained information are without the users’ consent. The accumulated data was then sold to Cambridge Analytica and was utilised by the firm to influence President Trump’s election process. According to Wikipedia, the data included records of when users had clicked a Facebook like button. Based on the clicks of these buttons the political campaigns could build profiles of what kind of political propaganda they should target at those users. Although, both Facebook and Cambridge Analytica deny the alleged data violation and wrongful influence of voters’ opinions in the electoral process, it hadn’t been without hard comebacks for both firms. Besides series of investigations and continuous parliamentary summon, Facebook’s relationship with the public was strained. In Facebook’s parlance, you could describe it as “its complicated”. Sine the entire scandal blow-out, the social media giant has been experiencing some extreme user backlash, with the hastage #deleteFacebook trending across social media. 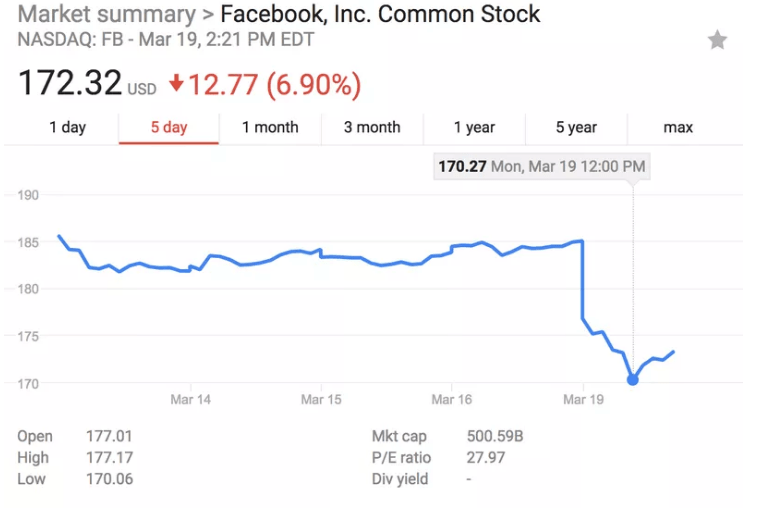 In addition to that, Facebook has lost about $100 million, which is 10% of its market capitalisation. Despite this, Facebook appears to be weathering the storm, as Mark Zuckerberg assures he’s still the best man to run Facebook. But, the situation isn’t getting any better. In fact, some African countries like Nigeria and Kenya also made moves to probe Cambridge’s Analytical alleged involvement in their electoral processes, an addition number of people have been reported victimised by the scandal. According to The Washington Post, currently, 87 million users have been affected by the scandal. But there’s a more reasons to worry. And why Zuckerberg still affirms that he remains the best man to run Facebook, he announced yesterday that most of Facebook’s 2 billion users may have had their data compromised. While this may sound as a call for users to tidy up possible loose ends on their personal and security details, it still raises concerns on how safe it really is, to continue utilising the social media platform.